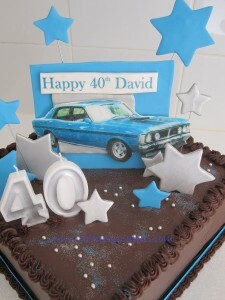 Does your husband or boyfriend have a dream car that they would love to own? That’s the inspiration behind today’s 40th birthday cake! 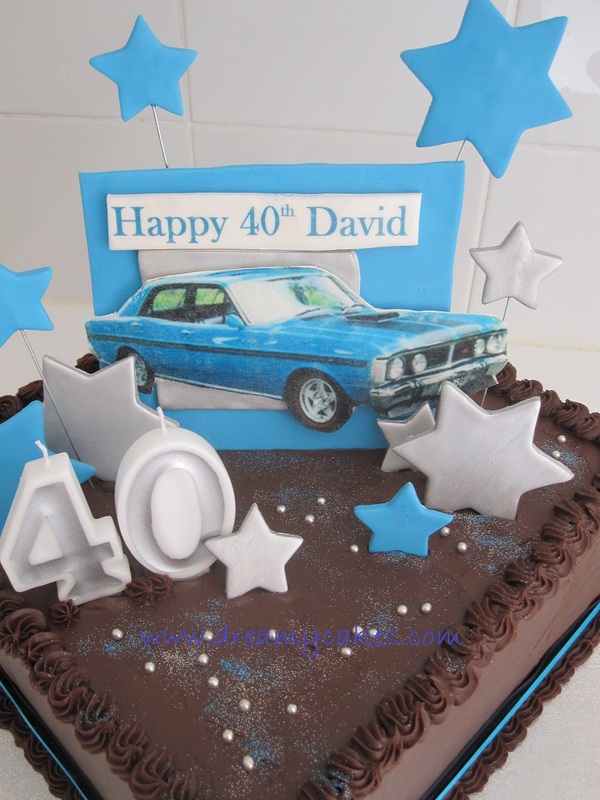 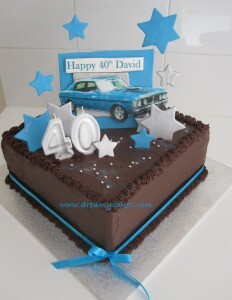 A sugar plaque with an edible image of a dream car, tops off this chocolate mud cake with whipped dark chocolate ganache!